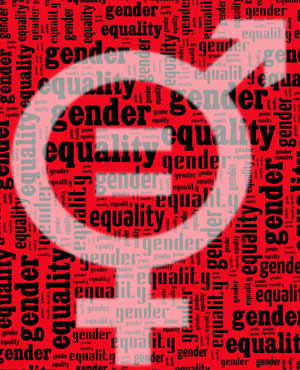 The group looks at several measures of equality between men and women in this year’s Global Gender Gap Report, released Tuesday. Overall gender disparity across politics, work, health and education improved by less than 0.1%, meaning it’ll take 108 years to reach parity. The economic opportunity gap - based on participation, pay and advancement in the workforce - remains the area that’ll take the longest time to close. There’s been “minimal progress” since last year’s report in measuring economic participation and opportunity, the WEF said, with the worst-performing countries mainly in the Middle East and North Africa. Only 34% of global managers are women, and income gaps have been “particularly persistent,’ with 63% of the global wage gap having closed so far. Iceland was the best performer on the list for the 10th year running. It also remained Number 1 for women’s political empowerment, although it slid in female representation among legislators, senior officials and managers. In October, Prime Minister Katrin Jakobsdottir was among scores of Icelandic women who walked out of their workplaces to protest wage inequality and sexual harassment. Other nations with female leaders - New Zealand and the UK - finished seventh and 15th. In Asia, the Philippines edged its way into eighth place on the overall global index. As such, it was the best performer in Asia, boosted by gender equality in education, politics and an improvement in wage equity. The country is far ahead of the continent’s next best performer -- Laos at 26th. Singapore ranked 67th and China was 103th, coming in last globally in women’s health. Political empowerment is where the gender gap remains the widest, according to the findings. The US fell to the 98th spot for the measure, sliding from 66th in 2006. Still, in the midterm elections last month, which took place after the survey data was collected, women won a record 102 seats in the US House as of November 19, fueled by Democratic opposition to President Donald Trump. Progress in political empowerment in the West has been slightly reduced, with the gap of women in parliament in 22 Western countries being 41%. Yet improvement is being made in the rest of the world. In this area, Singapore, Italy and South Africa outperformed others. Women made up 28% of the AI workforce in all three countries, for the highest percentage among 20 economies surveyed this year using LinkedIn data.